Turn your backyard hot tub into a relaxing refuge. The Covana is the ONLY fully automated all-in-one hot tub cover/gazebo enclosure. It’s the top choice for safety and privacy. Optional shades and screens provide privacy and shelter. The keyed entry provides absolute security and safety. In the down position on the hot tub, the cover is sturdy enough to walk on and can be put on lockout to keep intruders out! When up (in the enclosure position) enjoy privacy from peeping neighbors. No one can see you or your hot tub! Fits all Hot Spring Spas except TX and SX in the Hot Spot Collection. Smartop sets a new standard for home hot tub covers. UL safety certified with materials and features that are unmatched in the industry. Smartop is designed and manufactured in the USA by Leisure Concepts, a leading hot tub accessories manufacturer, to correct the primary problems associated with spa ownership: covers that absorb water, develop odor, become too heavy to use and require regular replacing. 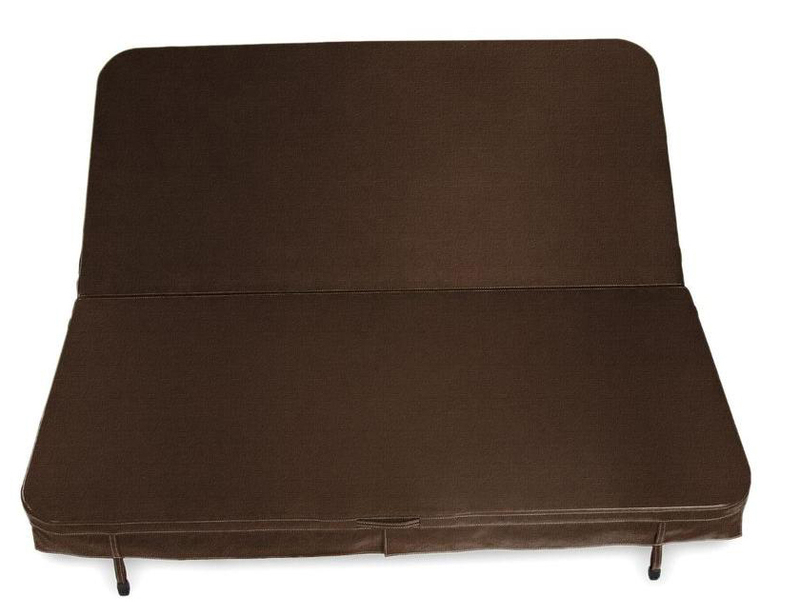 You won’t find a better or longer-lasting spa cover than a Smartop. Available for square and rectangular tubs. SHOP NOW! When you want a cover that’s easy to remove, the Smartop Vanish is an outstanding answer. The low-profile design affords you more of a view from all sides of the tub while still keep the cover up off the ground. 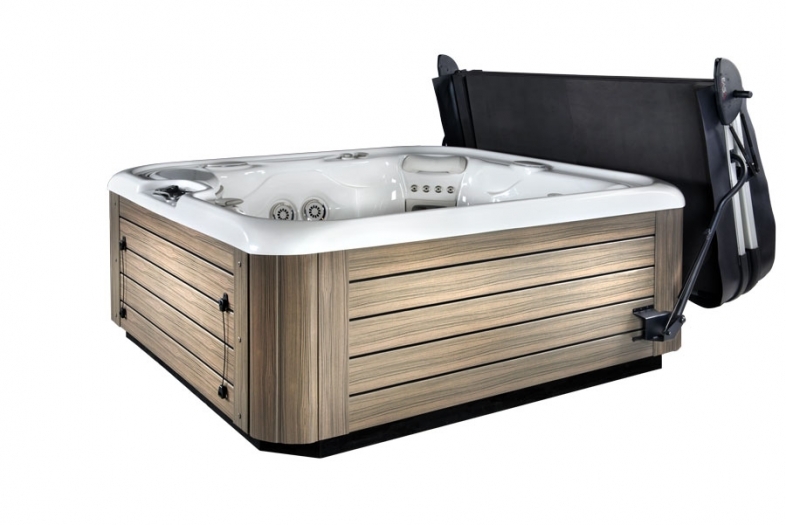 The luxe look of a Smartop with its deco finish adds a unique design element to your hot tub—you’ll be the envy of the neighborhood! The deco finish is available in six rich color options to complement any Hot Spring Spa. Zero water absorption—say goodbye to replacing vinyl hot tub covers! We’ve partnered with Core Covers to provide replacement hot tub covers to our customers. 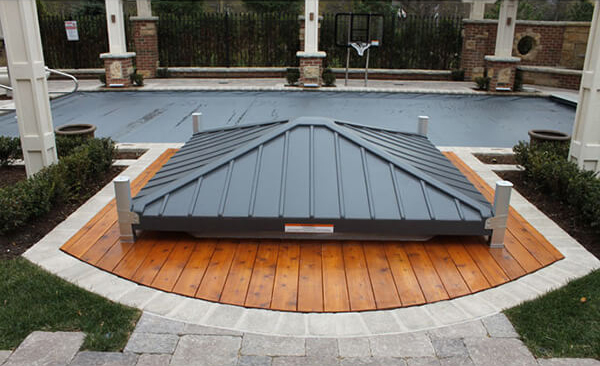 Core has state-of-the-art facilities with precision cutting machines to make sure your get a new hot tub cover that fits well, looks great and is energy efficient. Core Covers are UL listed and are meet or exceed ASTM Safety for all hot tub and swim spa covers. Marine grade vinyl is used in every new hot tub cover. They’re UV and mildew resistant, contain no plasticizers and are designed for superior performance and longevity. Covers are double-stitched at over 30 strategic points of stress for durability. Locking hardware is standard with every Cover Cover to make sure your hot tub is secure when you’re not using it. Core offers 16 color options to match every hot tub cabinet and backyard design. You’ll love the way they look. All Cover Covers include a comprehensive 3-year warranty. It’s non-prorated on both materials and workmanship. You can buy with peace of mind—fewer than 1% of covers sold by Olympic have had any warranty claims!